All American Roofing is based in the leafy suburb of Greensborough in Melbourne. However, we provide roofing advice, service, and installation in all areas of Metro Melbourne, the Sydney suburbs as far down as Wollongong, and of course Brisbane which includes the Sunshine Coast. Melbourne is a fascinating place to live and visit. Diverse cultures, businesses and recreation have created many interlocking communities within the city. A large modern city with a rapidly growing population and expanding urban fringe. 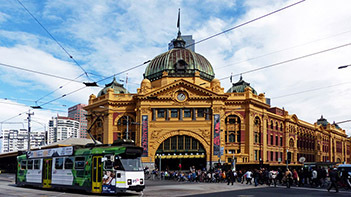 Currently home to more than 4.5 million people, Melbourne is welcoming new arrivals at a rate of over 1,500 persons per week. As a result the demand for new homes is strong particularly in the West, North and South East. This boom has increased house prices and rents, as well as availability. Melbourne’s middle and outer-ring suburbs have seen significant redevelopment and new subdivisions. Existing housing stock is diverse in architectural styles from late 1800’s Victorian homes, 1910’s Edwardians, 1930’s California Bungalows and post WWII Brick Veneer and weatherboard houses. In the past 20 years many new modern home designs are becoming popular. Many of these styles are particularly well suited to the use of Asphalt Shingles as a preferred Roofing material. 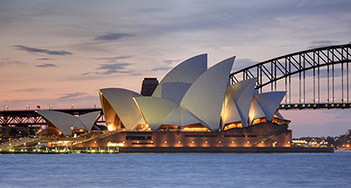 Sydney occupies one the worlds’ most beautiful natural harbours. It is a coastal basin surrounded by the Tasman Sea, the Blue Mountains, Hawkesbury River and the Woronora Plateau to the south. It offers residents a fantastic lifestyle with an attractive sub-tropical climate. The city has a world heritage listed building and several national heritage listed buildings. Like Melbourne it is experiencing strong demand for new housing driven by a fast growing population. Shingle roofing is already making a statement in some Sydney suburbs particularly in coastal areas. Both re-roofing and new roofing projects with asphalt shingle installations are proving to be quite popular. 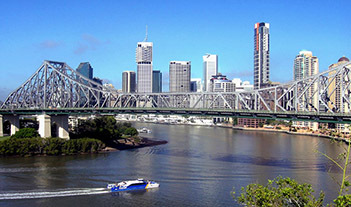 Brisbane is Australia’s 3rd largest city with a population of 2.4 million. The city is well known for its distinct Queenslander architecture which forms much of the city’s built heritage. There is significant housing development taking place throughout not just Brisbane but all of south eastern Queensland including the Gold Coast and the Sunshine Coast regions. Depending on your architectural tastes and style shingle roofing can offer the home builder something quite different and appealing. Features such as weatherproofing, fire retardant, algae protection and up to a 50-year warranty make shingles a very clever alternative.